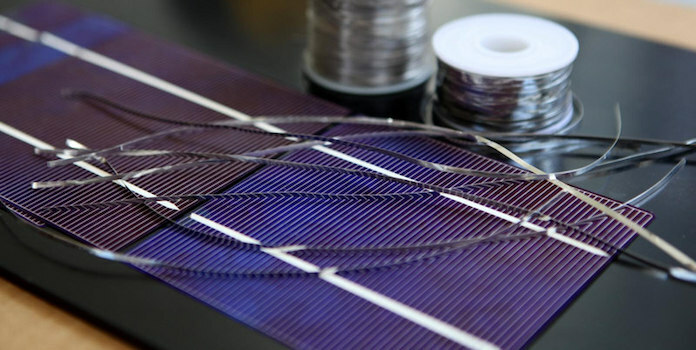 Wiring Solar Panels in Series vs Parallel: Which Is Better? Understand the difference between wiring your solar panels in series vs parallel. You want your solar panels to deliver the maximum amount of energy possible, right? But did you know how your solar panels are connected within the electrical wiring of your house makes a difference in how well they work? Connecting your solar panel in series vs parallel affects current flow and is dictated by your installation’s setup. Warning: Science below! While we’re not going to get too deep into the details, the difference between connecting solar panels in series vs in parallel is an intermediate level solar discussion. If you’re looking for something a bit more on the beginner level, check out our articles How Do Solar Panels Work? and Everything You Need to Know About Solar Inverter Types. OK, now that the disclaimer is out of the way, we’re ready! Before we get into whether solar panels are better connected in series or in parallel, let’s talk a little about wiring basics, starting with circuits. An electronic circuit is simply a path electrons can flow through. The simplest circuit is a battery, wires, and light bulb. As electrons move through a circuit, they create voltage — the difference in charge between two points (measured in volts) — and current — the rate at which charge is flowing (measured in amps). Check out this great 5 minute video to understand the difference between voltage and current – it’s going to come in handy later on! Each electrical component in a circuit affects current flow by changing its electrical properties. For example, resistors dissipate energy, while capacitors store electrical charge. Conductive wires enable current to flow. The configuration, or placement, of these components within the electrical circuit affects the flow of current and its electrical power. What does “in series” and “in parallel” even mean? Components connected in series looks like a string of Christmas lights – each piece is placed in a line, one after another, with each piece connected only to the one before and after. Since all the components are connected in a single line, the electrical current can only travel in one direction. If a circuit is disconnected at any point, current will not be able to flow through it. This will halt electrical activity in the entire circuit. You experience this each year when you take those Christmas lights out of storage, then have to check every bulb to find the one that’s burnt out and preventing the entire strand from lighting. Fortunately, this isn’t how the wiring in your house works. Most household electrical circuits are parallel circuits. Each component is connected to every other component. A parallel circuit will continue to work even if it contains a broken component because it has multiple paths for current to travel. A broken component reduces the overall current, but the other components will stay operational. This why you can have 5 lights connected to the same circuit in your home, but choose which ones to turn on or off without affecting any of the others. How does this apply to solar panels? Just like the examples above, you can choose whether to connect your solar panels in series or in parallel. Let’s go over the pros and cons of each as well as how to choose between the two. When installing solar panels in series, the voltage adds up, but the current stays the same for all of the elements. For example, if you installed 5 solar panels in series – with each solar panel rated at 12 volts and 5 amps – you’d still have 5 amps but a full 60 volts. There are some major benefits to connecting solar panels in series. First, it allows you to get away with smaller wiring (since the current stays the same), which saves you quite a bit of expense and effort during the installation. And second, you can have very long wire runs (from your solar panels on your roof to the inverter on the side of your house, for instance) without losing too much electricity. For these reasons, most solar panels on homes today are, at least partially, connected in series. There is one issue with connecting in series, however. If you remember our Christmas lights example from above, you can imagine the drawbacks to wiring your solar panels in a similar way. If one solar panel goes out or is shaded, then the entire system’s production drops drastically. Shading decreases production in any system and that’s why installers typically avoid areas of your roof where nearby trees, shrubs, buildings, satellites, chimneys, or anything else could get in the way. 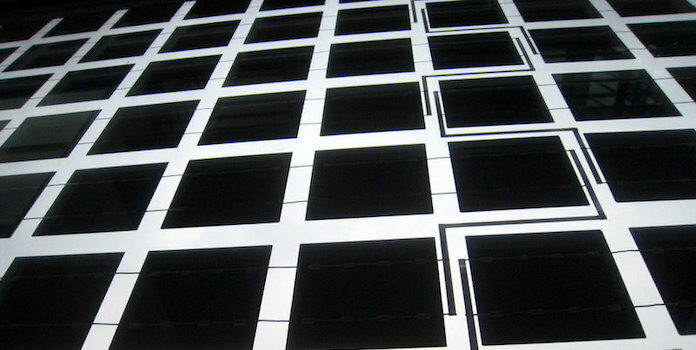 Solar cells can also be arranged in parallel, where each solar panel is connected to every other panel in the circuit. Unlike connecting in series, connecting in parallel allows the voltage to stay the same, but the current adds up. In fact, it’s the exact opposite of connecting in series! Using our same example of 5 panels, each rated at 12 volts and 5 amps, if you connected them in parallel, you’d still have 12 volts but now 25 amps! Connecting panels in parallel requires heavier wire to handle the higher current (25 amps vs 5 amps in the examples above) and you need more wire to make all the connections to the different panels. It’s more difficult and costly to run these large wires to connect your solar panels to a distant inverter (like is typically found in residential situations). 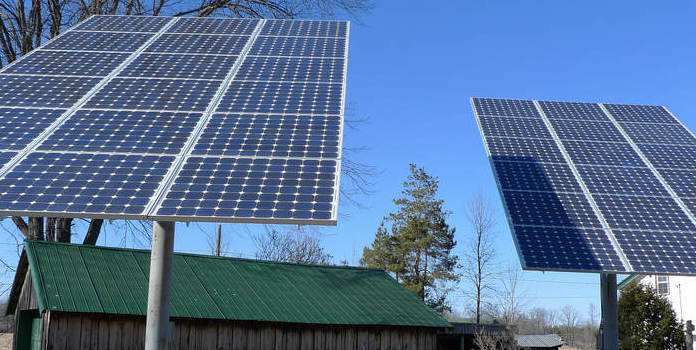 Off-grid systems have a bit more flexibility and solar owners will sometimes connect their panels in parallel to meet their battery needs (12 volt solar system to charge a 12 volt battery, for example). It is also possible to install solar as a combination of series and parallel circuits to try and maximize the advantages of both types of wiring. This combination can also help you achieve a desired amount of voltage or current depending on what your needs are. As we mentioned, most grid-connected homes use solar panels that are connected in series. Smaller systems can get away with a single string of panels, but larger systems typically need 2 or more strings to safely accommodate the number of panels in play and many inverters these days accommodate this need. If you want to bypass the whole issue of whether to connect your solar panels in series vs parallel, you could always just install microinverters, which optimize each panel individually – no need to worry about shading or anything like that! Should I install my solar panels in series vs parallel? How you choose to wire your solar panels depends on your installation design (where the panels and inverter be installed), whether you’re connected to the grid or not, and the size of your installation. Keep in mind that there are positives and negatives to each system. While it may be easier to wire your solar panels in series, a disruption to one of the elements will disrupt the entire circuit, so it is less reliable. On the other hand, panels connected in parallel need larger, more expensive wire (and more of it). Ideally, your solar energy plan should include some type of optimization tracking such as MPPT in addition to any modifications made to the solar cell itself, as it may be more beneficial to perform energy tracking rather than modify the wiring of your solar panels. And don’t forget about avoiding this whole issue entirely and going with microinverters!